Last month I decided that I wanted to add more character to our house. 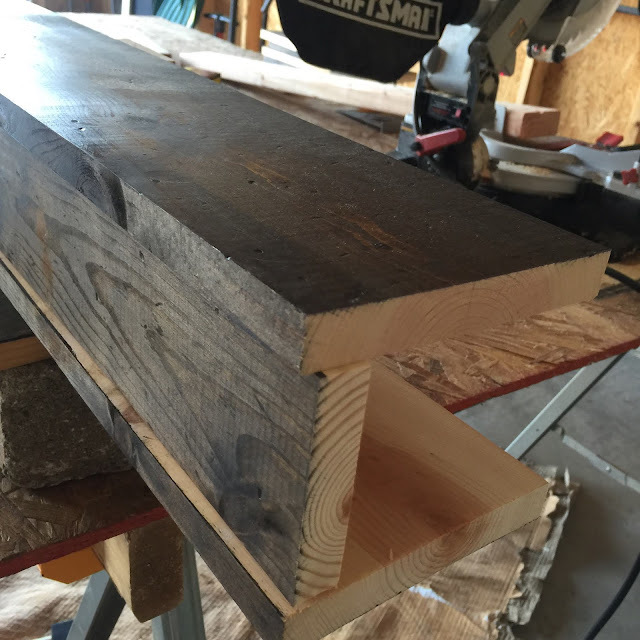 I saw the faux beams while watching HGTV's Smart Home and I knew I wanted it to be my next project. 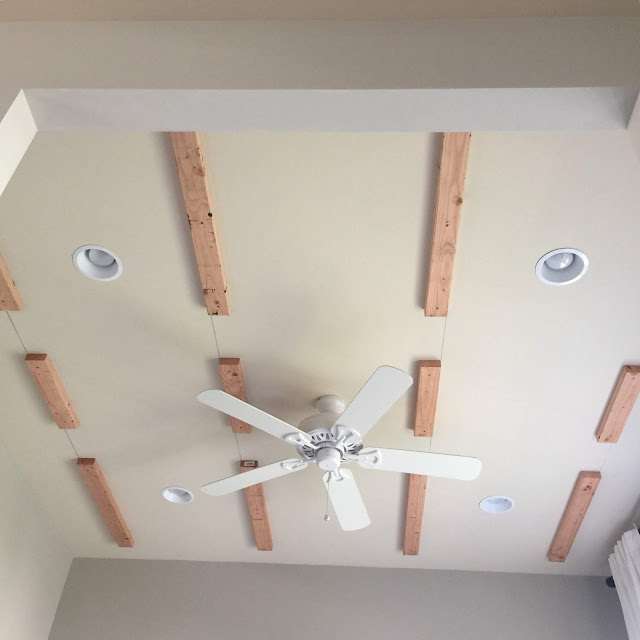 Real beams are expensive so I looked at the DIY version. We decided to add them to our front room. 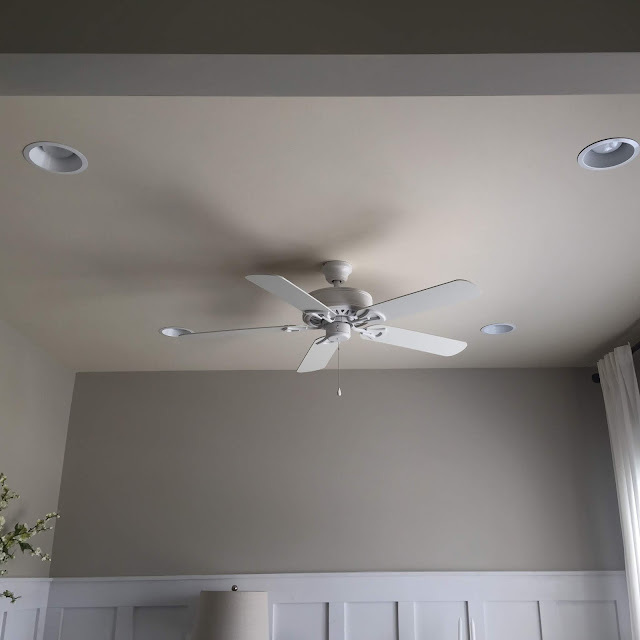 This is what the ceiling looked like before. 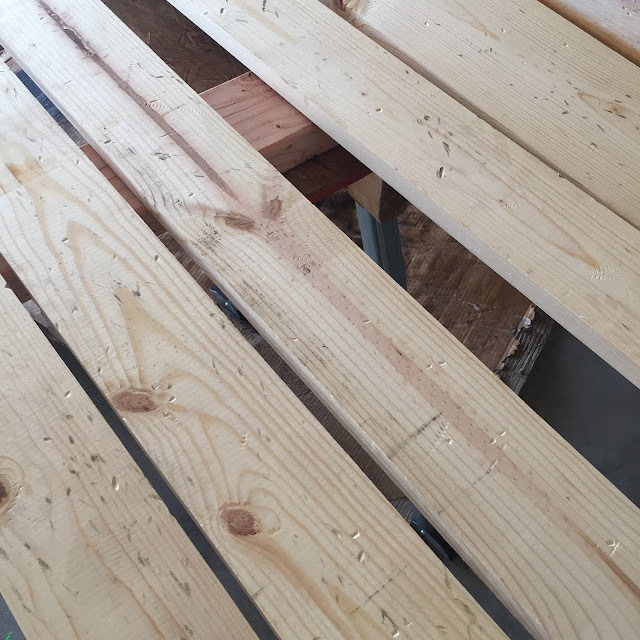 To get started, we determined how many beams we wanted and measured/spaced them out evenly. 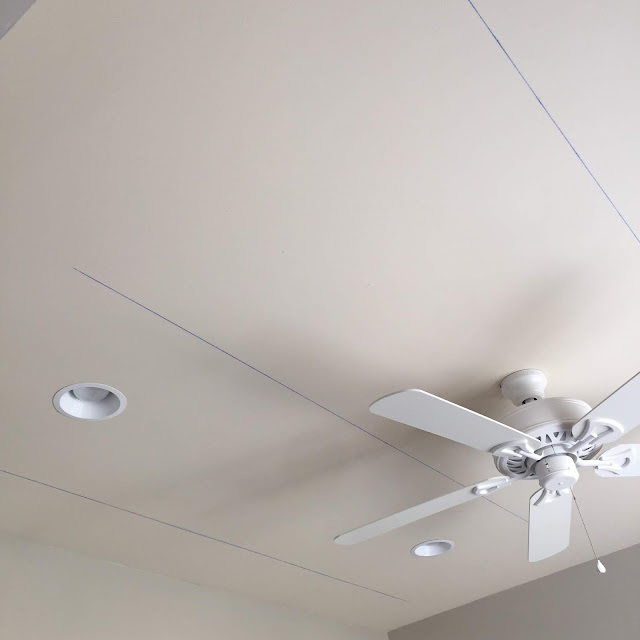 We used chalk line to mark where each beam would go. We decided on four beams. Next, we bought our wood. Since we wanted four beams, we needed 8 1x6, and 4 1x 4. We bought the cheapest wood at Home Dept. I wanted a rustic look, so the more beat up the wood the better. After getting the wood home, we beat it up. I hit with a hammer, chain, and nails to give it a beat up look. Above is what it looked like after. Once I got the look I wanted, we stained the wood. 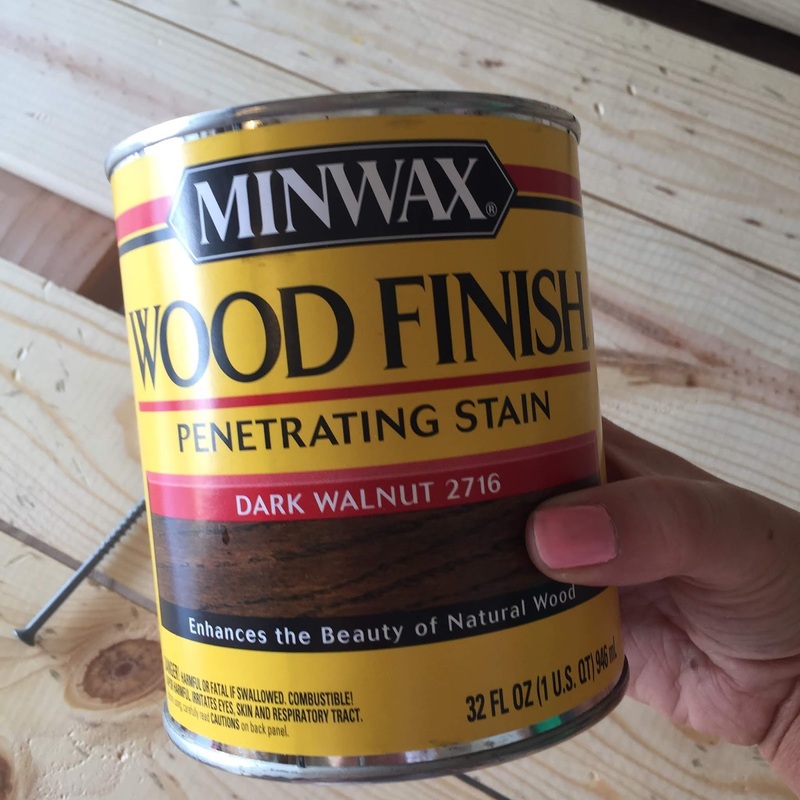 I chose the color Dark Walnut. I love how this color turned out. While the stain was drying, my husband installed supports to help keep the beams secured to the ceiling. We purchased 4 2x4. He cut, nailed, and spaced them out across the joists in the ceiling. 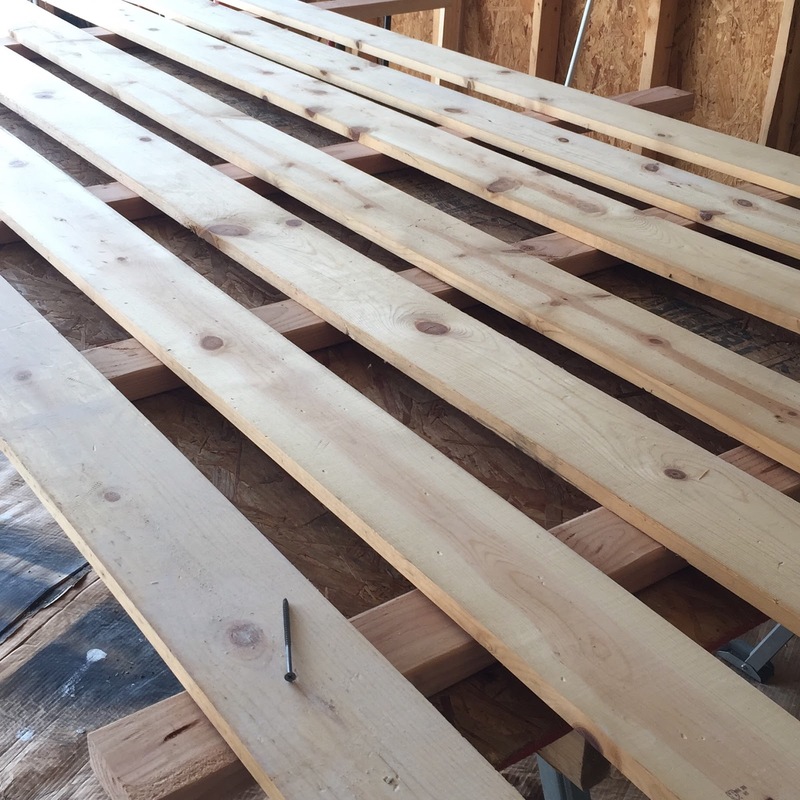 After the stain dried, we built our faux beams. The two 1x6 boards were used on the outside and for the middle we used one 1x4. I wanted a little dimension, so we gave the beam a little bit of a lip. You can see how I spaced it above. After we put it together, we had to use clamps to keep the wood from moving. It made it much easier to nail. We nailed about every 5 inches along to beam. One side of the 1x6 was nailed to the 1x4. Then we nailed the other side to the 1x4. After we constructed the beams, we had to stain the inside lip of each beam. Once the stain dried, we nailed each beam to the 2x4 supports. LOVE this space. They look so good and you'd never know! you guys did such an amazing job, I always love your home post. It looks so good! I have a beam in my bedroom that's painted white and white post has me itching to cover it with wood! 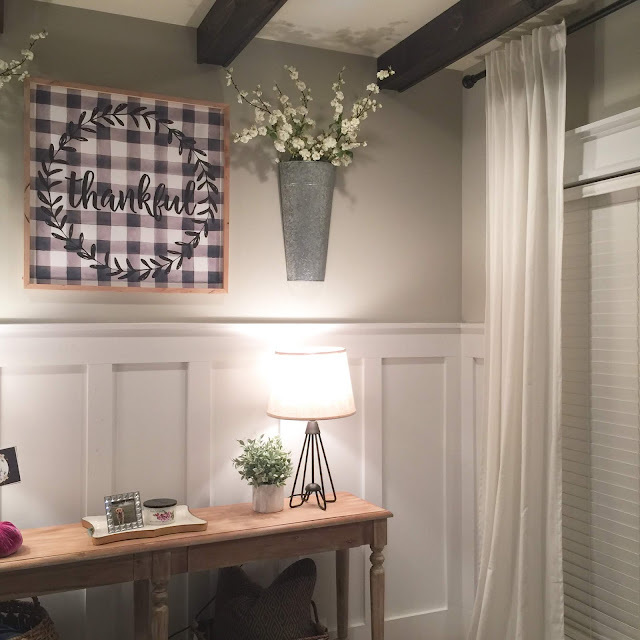 What a great DIY - they turned out beautifully! I truly making the most of your web article. I am framing an introduction, and I would love to utilize a portion of the data in this webpost in it. Is this fine? Provided that this is true, I may likewise utilize a portion of the data on my Internet Marketing blog, however I will make a point to leave a source connect to your site in the event that I utilize any of your material. Anyway, I anticipate a greater amount of your awesome data and give me an email in the event that I can help you by any stretch of the imagination. 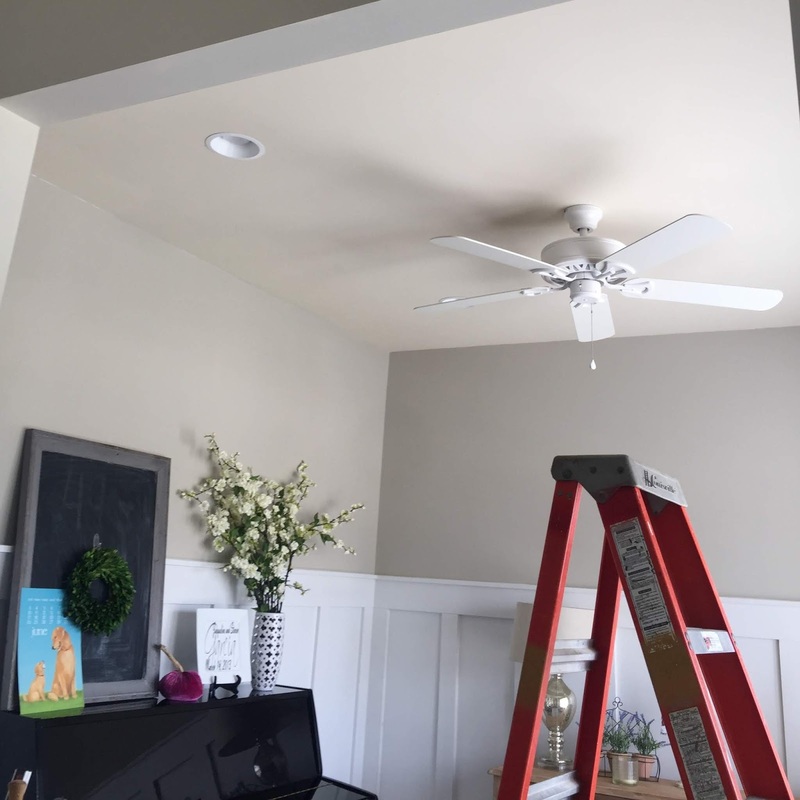 We have one beam in on the high part of our vaulted ceiling that connects the hallway and our living room. It was there when we moved in and I love it! Yours look great, I love the color you chose! Look how clever y'all are! LOVE the way this turned out, lady! Oh wow, it's beautiful dear. Love the rustic look, so relaxing. Great job! you cant make usage slower. it depends what you use it for. 10-20 megabytes an hour is nothing. i use up to 1gb an hour. this is because i play online games, watch videos etc. Sounds trite, I know. These are "everyone-knows-that" garden-variety facts. But there is more grist here for your woodworking mill than might first appear. Some timber is more qualified to outside activities than others. For uncommon applications, some timber is artificially treated.